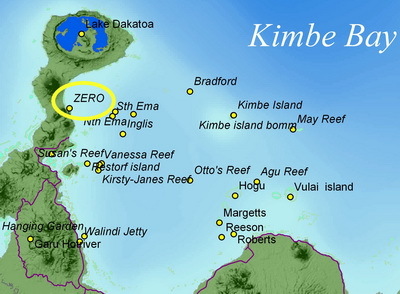 The Kimbe Bay Zero Wreck. 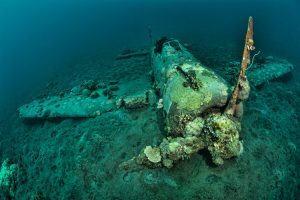 As the story is told around the bar at Walindi, the day the Zero fighter was found was soon after a small plane had crashed on take-off from Hoskins Airport in Kimbe Bay. So when local villager William Nui saw the Zero laying on the sandy sea floor. He thought it was the wreckage from the recent crash. 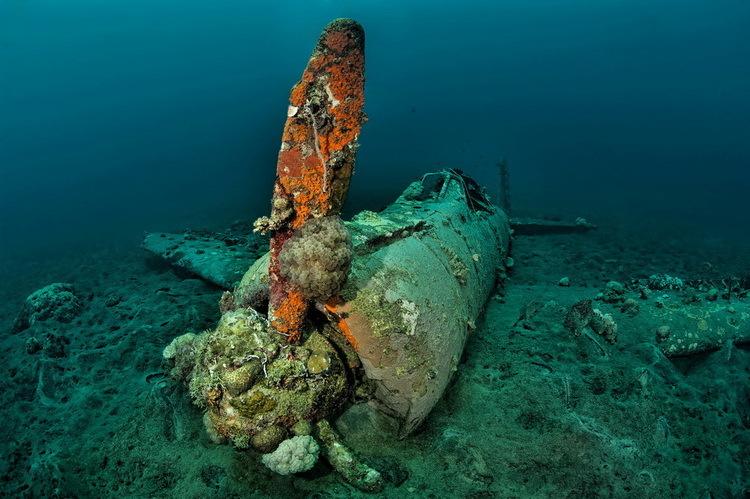 And not that of a WWII Japanese fighter plane that had remained undisturbed for nearly 60 years! The discovery of the wreck is an interesting story in itself. Because William was free-diving for sea cucumbers when he noticed what seemed to be a large shadow on the sea bed. Like many people in PNG, William is very superstitious. And as he got closer he thought that he was looking at a ghost lying face-up with its arms outstretched, soaking up the sun. Terrified he shot to the surface and to the relative safety of his canoe. 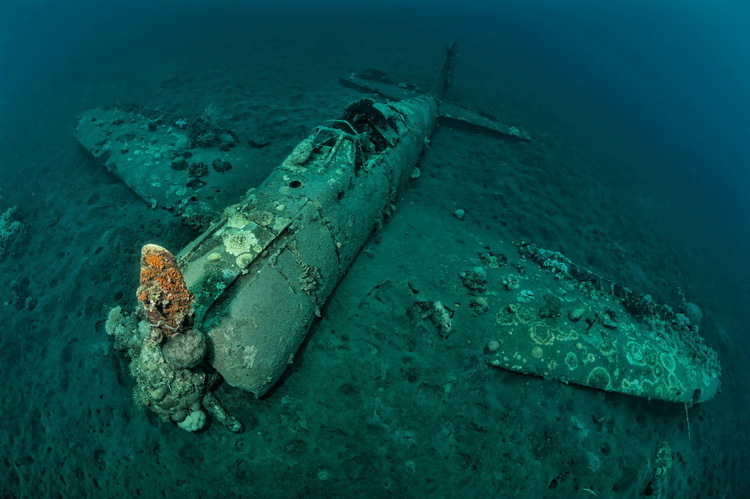 Eventually summoning up enough courage to go back down to take a closer look… Realizing when he did that it was the wreck of a plane rather than some demon of the deep. 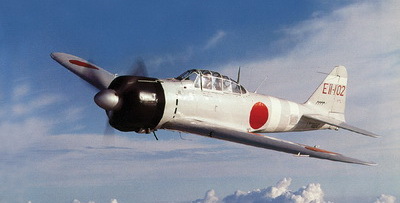 The Mitsubishi Zero fighter was to the Japanese WWII military what the Spitfire or Hurricane were to the British. Or the Grumman F4 Wildcats and F6 Hellcats were to the United States. A truly remarkable fighting machine. It achieved a legendary status from its role in the devastating Japanese surprise attack on Pearl Harbor 1941. But it was the Zero’s role with the infamous Kamikaze (Divine Wind) suicide pilots that ingrained it into the psyche of a generation. 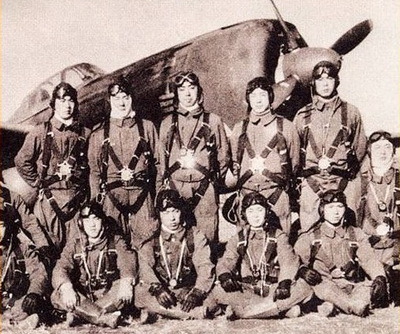 More than 3000 volunteer pilots, some as young as 17, gave their lives in what they believed were divine missions to protect Japan. It was a devastating and demoralizing strategy. But one that eventually failed due to the rapidly declining manufacturing capability of Japan once the tide of war changed. Initially such attacks were on an ad-hoc basis. With damaged planes being deliberately crashed into Allied ships in a final attempt by the pilot to inflict as much damage as possible. But in October 1944 the Japanese Naval Air Force deployed specially modified Zeros from Air Group 201 in the Philippines in the Battle of Leyte and before the war ended a total of 49 Allied ships had been sunk by Kamikaze attacks. When Max Benjamin first dived the Zero he found it in quite remarkable condition. 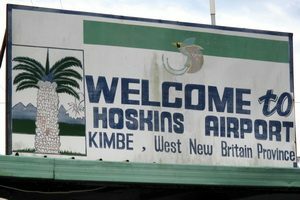 There were no signs of bullet holes or other combat damage indicating the plane had not been shot down. Rather the ‘off’ position of the throttle lever and the pitch control set to reduce air speed clearly pointed to a controlled landing in the sea. The probability being that the pilot simply got lost and ran out of fuel. Japanese war records show this was relatively common as WWII progressed in the Pacific. Max and his wife Cecilie were fascinated by the newly found wreck. And tried to piece together the history of the plane using a combination of factual Japanese military war time records and anecdotal stories from local villagers. The aircraft’s serial number and date were still visible on the wreck. Military records show that the plane went missing during the battle of Cape Gloucester on West New Britain on 26 December 1944. The pilot on that day was Tomiharu Honda but his fate remains a mystery. Although a local story suggests that the native people helped get him to the nearby village of Talasea. But what happened after that remains a mystery. Given the sacrifices made by the Kamikaze Zero pilots and the way the Japanese military venerated them. Losing a plane due to navigational errors would have been a very significant loss of honor. And one theory is that the pilot could not face this and spent the rest of his life in the jungles of New Britain. There is an alternative, but slightly more gruesome theory… And that he ended up as the main course of a ceremonial feast for a head hunting tribe. A practice still common in those days…. Either way, while Tomiharu Honda’s navigation skills may not have been perfect. There is no doubt that he could certainly fly the Zero well and performed a flawless ditching which inflicted virtually no damage to the plane and brought it to rest just 50m from the shoreline. 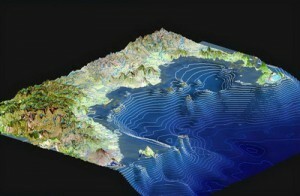 The Zero wreck is located towards the northern end of the Willaumez Peninsular. It is in a small bay close to the popular South Emma’s dive site. Laying in just 17m of water the wreck is easily dived and bottom time is not a big issue. 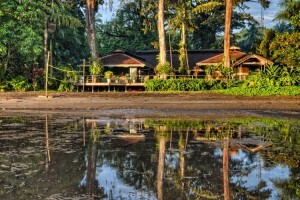 Its location close to the shore means that it is best dived when there has been no rain for several days so that the visibility is at its best. 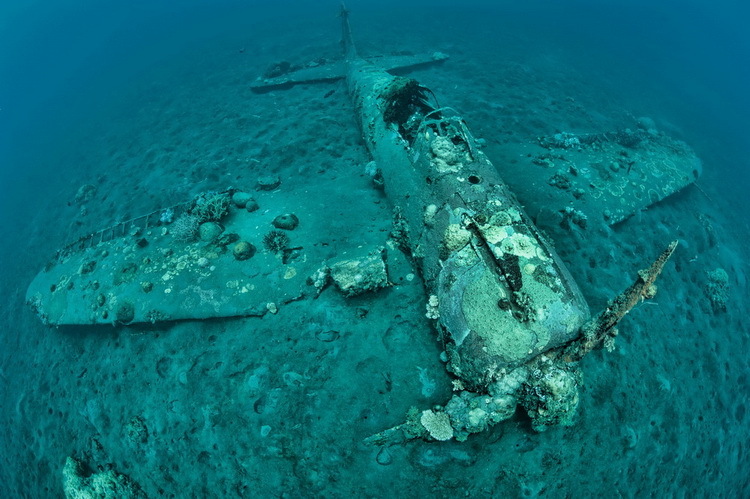 The plane sits serenely on the sandy bottom. 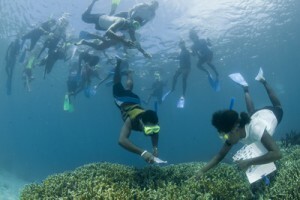 It is covered with a light marine growth with numerous small barnacle-like hard coral growth on the wings and fuselage. The three blades of the single propeller are still very much intact. With a rich covering of sponges and some colorful coral. Fish life is concentrated around the open cockpit. Which hosts a large anemone and a small colony of nemos just behind the pilot’s seat. The total length of the fuselage is just under 10m and the tip to tip wingspan is 12m, so it’s not a particularly big wreck. 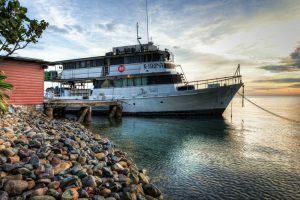 The Zero is dived regularly by Walindi’s day boats and the resort’s liveaboard Febrina also visits the wreck form time to time.